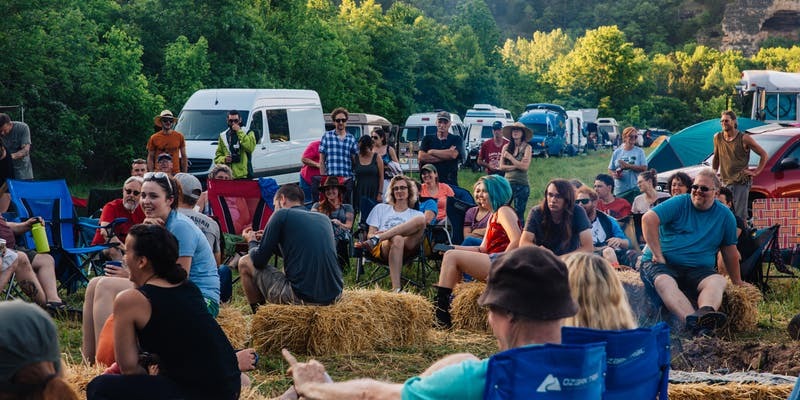 Join us May 17th-19th in beautiful southern Illinois for a weekend of community, camaraderie, music, potlucks, yoga, checking out rigs, bonfires, and giving back. This event is a fundraiser. 100% of the proceeds from ticket sales and the raffle will be donated. Most of the proceeds will be donated to Adventure Works, an Illinois-based nonprofit that improves the lives of marginalized youth by getting them outside and working with them through adventure therapy and team building. A portion of the proceeds will also be donated to the Pancreatic Cancer Action Network. Last year the Midwest Vanlife Gathering raised over $6,000!